Q. How do I access the electronic resources from my home? Current students, faculty, and staff may access many of our electronic resources from off-campus. To access our resources from off-campus, you will go through the MyJSU portal. When you select any of our electronic resources, databases, e-journals, or e-books, you will be routed to MyJSU. Just enter your MyJSU credentials. You will still be verified through the Library's system, so if there is a problem with your record in our system, you will be prompted to contact us at 256.782.5758 | 1.800.231.5291 or libweb@jsu.edulibweb@jsu.edu. 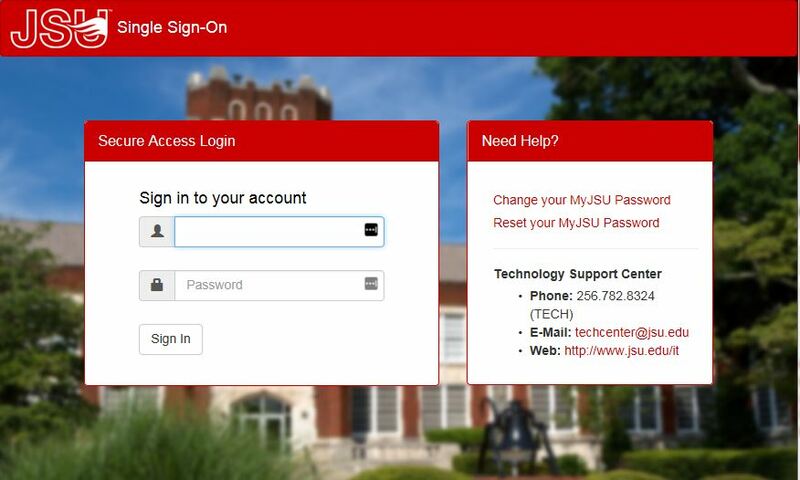 If you have problems with your MyJSU account, you will need to contact the Technology Support Center at 256.782.8324 or techcenter@jsu.edu.